What is the Robert Reisinger Memorial Trust, and who are WE? “We” are Peter and Hilary Butler, the trustees of the Robert Reisinger Memorial Trust set up in memory of Dr Robert Reisinger. Who was Dr Robert Reisinger? Dr Robert Reisinger was born in Miami, Florida, on 1st September 1921, and graduated with a doctor of Veterinary medicine from the College of Veterinary Medicine at Auburn University in 1944. 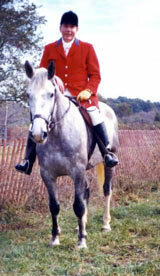 Between 1944 to 1945, Dr Reisinger had a large animal practice specializing in horses, which was his first love. His Master of Science degree was conferred in 1957, from the Department of Veterinary Science, University of Wisconsin, in 1957. His Manuscript Thesis, dated March 21, 1957, is held in Wisconsin library, and is called, “Studies on the Pathogenesis of Infectious Diarrhea of Newborn Calves”. This work looked at the consequences of not giving colostrum and cow’s milk to calves, the results of that on the gastrointestinal flora. and resultant gut bacterial endotoxaemia in relation to the sudden unexplained deaths of newborn calves. Endotoxaemia became the focus of his work in the later stages of his life. From June 1945 to April 1954, he was employed by the United National, the Economic Cooperation Administration and the Department of the Army with assignments in Greece, Poland, Mexico, China, Ethiopia, Formosa, Japan and Korea. Dr Reisinger then became Assistant Chief, Veterinary Affairs Division, Public Health and Welfare Section, Supreme Commander for the Allied Powers (SCAP), Tokyo, Japan, from July 1949 to July 1950. From October 1951 to April 1954 he was Chief of the Veterinary and Livestock Section of the United National Civil Assistance Command, Korea, where his primary responsibilities were concerned with the research, development, production and use of animal vaccines against rinderpest, Newcastle disease, hog cholera and other diseases. His own development, production and use of the Rinderpest vaccine in Taiwan was directly responsible for the rehabilitation of the livestock and veterinary industry in Korea. As a result he was made an honorary life member of Tokyo Veterinary Medical Association in 1951, awarded the Presidential commendation by President Syng Man Rhee of the Republic of Korea, and in 1954 was the first foreigner ever to receive the Korean “Medal for Industrial Merit”. From 1954 to 1955, Dr Reisinger ran a veterinary practice in Miami, Florida, before going back to university to obtain his Masters Degree. 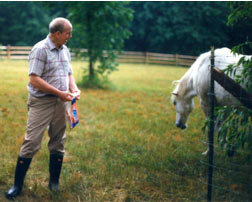 In 1964, a chapter in a book called “Bacterial Endotoxins” stood out in his mind, and over the next two years, his research as a sideline was aimed at a unifying concept as to the effect of bacterial endotoxins and their effects on the mammalian young looking at two aspects: What vaccines, based on bacterial endotoxins could do in the body, and how that might affect a baby, in particular, a bottle fed baby. In July 1966, he joined the special virus cancer program of the National Cancer Institute where his primary area of study was the interactions of microbial agents and various stressors in pathogenesis and epidemiology of disease: rinderpest, shipping fever, malignant lymphoma, calf diarrhoea, swine and fowl cholera. How did Dr Reisinger upset the establishment? By 1967, Dr Reisinger was speaking out about SIDS and the relationship with E.Coli, and his research was reported in the medical journal JAMA and Paediatric News. The SIDS “experts” took a dim view of any vet having an opinion on a subject considered “their turf”. On July 8, 1968, Dr Reisinger sent out SIDS research proposals to Pfizer, and various other bodies with a specific emphasis of a complete re-think of the lactose/protein ratio in formula, and further research done on intestinal pH and bacteria flora in infants’ intestinal tracts. The proposals were squashed faster than they could even be thought about. In 1969, an article (PMID:4917304) was published which provided proof that what he saw in animal mammals, was also seen in SIDS babies. He wrote to the authors, who replied saying that “Unfortunately we had to discontinue our work temporarily but hope to start anew in the future.” A hope, which was not to come about. But this article rang a bell in his brain, along with another article from 1955 in which the authors pointed out that the DPT inoculation could cause liver dysfunction changes of short duration which could be confused with hepatitis virus infection. Dr Reisinger realised that the control of endotoxin was dependant upon the liver detoxification system running smoothly. It was the suppression of the liver P450 system by vaccines allowing levels of E.coli toxin to build up, (or the overwhelming of toxin from high levels of E.coli endotoxin as a result of the abnormal colon ph resulting from formula-feeding) which started the dot’s connecting in his head. In 1973, several journals brought out a swathe of material on e.coli endotoxaemia, all of which fitted more parts into the puzzle, so much so that by 1974, when Dr Reisinger presented his findings at the Francis E. Camps International Symposium on Sudden and Unexpected Deaths in Infancy, he was very sure in his mind of the mechanisms, the pathways, the problems and the solution. Ironically, at the same symposium was a New Zealand expert, Shirley Tonkin, who presented a paper called “Epidemiology of SIDS in Auckland, New Zealand”. On page 174 her data showed that out of 86 babies who died of SIDS between 1970-1972, only 3 were breastfed. Dr Reisinger upped his pressure to the National Cancer Institute, providing data showing, among other items worthy of research, that DPT vaccine, when injected into mice with aluminium adjuvant, caused cancer, but aluminium alone did nothing. He was concerned that this aspect of vaccination had not been “tested” in models appropriate to babies, and that the increase in formula feeding, as well as a vaccines like DPT based on toxins or endotoxins paired with aluminium, may be part of the explanation for the increase in childhood cancers as well. Articles appeared about his work in Science Digest 1975 with more calls for research. Naturally, his views were very unpopular. By 1976, the Washington Post mentioned Dr Reisinger and other scientists, who the system was trying to shut up. There was much correspondence between the NCI, and Dr Reisinger, as not only was his work stifled, his salary increases ceased from the day he started to pressure them. 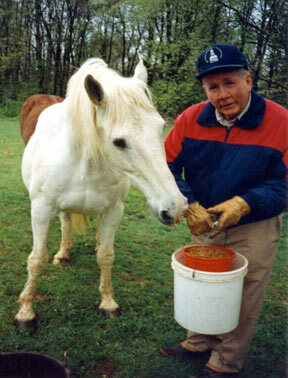 By August 1978, the situation was so bad with the National Cancer Institute, that Dr Reisinger left, and went back to being a veterinarian for the animals of his first love, horses. In 1989, the New Zealand Herald ran an article about two New Zealand scientists who believed that, “an unusual poisonous strain of bacteria found in the human intestine” was the cause of SIDS, and one of the authors “had since tried unsuccessfully to persuade New Zealand authorities to continue testing cot death victims for toxins because more studies were needed.”. I went to the library and got the medical article, but had considerable trouble tracking down the reference to Dr Reisinger, because the date of the reference was incorrect. In reading the article, and going through information I already had, I believed that the doctors mentioned had a vastly incomplete understanding of what E.coli. Every “strain” of e.coli is intrinsically toxic, because the fragments of the lipopolysaccharide cell wall are the toxin. The toxicity of e.coli relates much more to the size of the dose, and the liver’s ability to denature it, than any “number” attached to the quantity of bacteria itself. Up until this time, I’d not contacted Dr Reisinger, but the medical study described in the Herald prompted me to leave a message on Dr Reisinger’s answer phone. He swiftly and excitedly replied, and sent to Australia all the documents he felt would be useful to them to fully understand the issues. It was larger than your average doorstop! Interestingly, either they did not receive the parcel, or they chose not to acknowledge it. After several discussions, it became obvious to me that the issue of E.coli and SIDS was very complicated. During two visits to USA I had extensive discussions with Dr Reisinger, and we developed a very close working relationship, as I tracked down as many articles as possible, and talked to him about their relevance in an attempt to get a better understanding on the effects of endotoxaemia, and all it’s varied manifestations in the body at any time of life. Many times we had long telephone conversations, which I taped so that I could replay them, to better understand and make sure I had heard the explanations given. It wasn’t until 2000 that I started to become confident that my overall understanding of e.coli was sound, such is the complexity of the issues. With the papers and understanding Dr Reisinger had provided, I put together a position paper for the International SIDS conference in Auckland 2000, which was greeted like a lead balloon. I was told just before I went on stage, that my talk time had been reduced to 15 minutes, which meant I had to juggle what to take out... Even more than distracting was that the hall was almost empty when I started. Most who were there appeared disinterested. Other people constantly drifted in during my time allocation. It wasn’t until I’d finished, and quickly gone up into the mezzanine floor of the hall, that I became aware that now, everyone was dead silent, and attentive. I was just the ignorant little warm up act, to allow everyone to drift in to watch a man who was supposedly really disliked by all, namely Jim Sprott, of the “cover your mattresses… and no babies will die of SIDS, because it’s all caused by mattress gases” fame. I stuck around for the day, attending presentations, and came away with the impression that everyone acted like ships sailing by each other. Everyone, (including me) had their own theories about SIDS, and never shall theories willingly meet. And the reason for that is that everyone protects their patch for CV, financial and funding reasons. What did Dr Reisinger, or myself, have to protect? I couldn’t help recalling Dr Reisinger, telling me about a European SIDs meeting in Oxford, August 27-30, 1993 when the SIDS guru of the time, Dr John Emery, and Dr Reisinger were discussing the fact that e.coli was intricately involved, not only in SIDS but also pregnancy toxaemia, graft versus host, post surgery complications and a raft of other medical issues. Dr Emery, known as an amazing and talented thinker, said to Robert, “You realise Robert, that if you are right, then everyone here is out of a job.” Robert’s reply was something to the effect that Oliver Wendell Holmes or Semmelweis would have related to that statement. As far as Dr Reisinger was concerned, what he understood was blatantly obvious, and should have been to everyone else as well. I felt that too, and still feel the same. Every now and again, the two New Zealand doctors, residing in Australia, publish something more, but the issue goes nowhere. Partly because their focus is to try to make a vaccine for E.Coli. My focus is to underline the need for doctors to be defending breastfeeding, because the research clearly shows what breastmilk does for the baby's immune system, brain, physiology, hormone signalling and core cellular functioning. Yet, how many doctors can explain to mother how much more than "food", breastmilk really is? Scientists believe that common bacteria may play an important role in some cases of cot death, which affects around 250 infants a year in the UK. A study in the Lancet medical journal found that hundreds of post-mortems on babies who had died for no apparent reason revealed potentially harmful bacteria, in particular Staphylococcus aureus and Escherichia coli. A review of infant post-mortems at London's Great Ormond Street Hospital for Children found that around half of unexplained cases carried bacteria which could trigger disease. Both Staphylococcus aureus and Escherichia coli are capable of killing without any apparent physical signs, but there is still no proof that they are behind cot death. One of the study authors, Professor Nigel Klein, told the BBC that experts 'certainly can't say at the moment that these bacteria are causing sudden infant death'. 'However, it is possible that these bacteria may be more likely to be present in children who are exposed to other risk factors, such as smoking, so this research does reinforce the need for parents to follow existing advice on minimising the risk of cot death,' he advised. This is exactly the sort of research the New Zealand doctors had asked for, and which the New Zealand medical establishment refused to do. I am left wondering where these study authors above have been living all these years. The dots have been there to be connected since 1950, but you have to know where to look. Perhaps doctors today honestly think that what they are looking at is “new”! The reason there is no proof that gram negative bacteria causes cot death, is that everyone in the past, who has wanted to do the right kind of research to prove it, has been prevented from doing it, and no-one took Dr Robert Reisinger seriously, if they even bothered to read what he was saying. Dr Reisinger believed that the reasons for the refusal to either accommodate research in autopsies or fund studies on it, were many. Firstly, he believed that SIDS, like anything else, was an industry, where people survived by their funding and disparity of ideas. Secondly, specifically relating to e.coli, was that FORMULA companies are well aware of the controversy. They only reluctantly give lipservice to breastfeeding, because the more who breastfeed, the more their sales go down. They don’t want the public to understand that formula carries quite a few risks to babies, because it results in a higher body temperature, and created a high protein and abnormal alkaline ph environment, which suits E.coli and other gram negative bacteria with toxic potential. Breastfeeding results in an acid ph environment in which these bacteria cannot develop in large numbers, unless antibiotics are used regularly destroying the good bacteria which keeps the gram negative ones in control. Dr Reisinger also believed that vaccine manufacturers, who are hand in hand with formula manufacturers, don’t want parents to know that vaccines can affect the ability of the liver to detoxify endotoxaemia, a situation which has special dangers for babies with high levels of E.coli as a result of either formula feeding or illness. He believed that so long as this situation existed, everyone looking at SIDS could look to the public like they cared, and were trying very hard, and keeping their jobs, and attending every annual conference around the world... with no harm done to anyone else. As my working relationship with Dr Reisinger got deeper, his explanations made it clear that E.coli endotoxaemia had much greater consequences in later years as well. Dr Reisinger used to quote another scientist, who said something like, “E coli endotoxin is every ready, waiting to take it’s opportunity.” He talked about how marathon runners were “running ducks” because the composition of their gut flora could leave them open to sudden death looking like heart failure, as the basal body temperatures rose, and the e.coli started to multiply fast in an alkaline ph environment, in which it thrives. He described how so many sudden deaths in athletes have all the hallmarks of e.coli endotoxaemia, yet the reason that they were never diagnosed as such was that doctors and pathologists had such an abysmal knowledge of e.coli and what it could do in the body, that while they could describe what they could see, they had no understanding of the significance of what they were looking at. Only recently have some medical articles pointed to dysbiotic flora in the gut of athletes, and it’s prevention of problems by the use of …. Vitamin C !!!! The problem for anyone wanting to understand E.coli, gut flora etc, is that the dots are so widely spread. There are very few people connecting them, because very few medical people have done the basic microbiology that Dr Reisinger did, very few people understand the practicalities of the body as a whole, least of all the importance and composition of “normal” bacterial flora. Very few, if any, medical people understand the dangers of using antibiotics in babies, and how it results in serious alteration of gut flora. Some who do, think that the ready fix is a pottle of yoghurt for a couple of days, which is a total joke. There’s yoghurt, and yoghurt, and the answer isn’t as “simple” as acidophilus and bifidus being the bingo prize. Gut flora is hugely complex, uniquely individual, and requires a large colony of diverse inhabitants which work together. Who today is really interested in what constitutes “normal” gut flora? How would a researcher find a population representative of what you would find in a world without antibiotics, formula, vaccines which just represents normal, robust health? 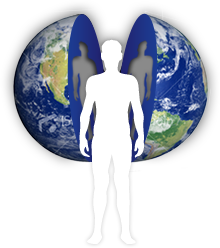 The closest that has been studied so far in the Western world, is an anthroposophical community. The problem is medical ignorance, and as Dr Reisinger used to say, “A person who is ignorant doesn’t know they are, and worse, assumes that their degree automatically confers on them expertise about everything they don’t realise they are ignorant about.” That’s a tough wall to break through. Formula feeding, resulting in a total change in bacterial flora and a huge shift in ph in the gut, making the baby a lot more fragile. The importance of breastfeeding, and how breast milk not only protects the baby against e.coli, but also against endotoxaemia from any other gram negative bacteria, allergies, and a whole host of other acute and chronic health conditions. The dangers of a breastfed (or formula fed) baby being given antibiotics, and how that can have long term implications for the baby. Getting all the basics right, and the health of our babies. It was fascinating to me that a man who is revered in Korea, in particular for his work with the Rinderpest vaccine, in his later days had little time for human vaccines. As we walked around the race course, everyone acknowledged Dr Reisinger. Everyone I talked to said it would be a sad day, when he stopped being the racecourse “doc”. Like so many medical movers and shakers, Dr Reisinger was ignored, silently reviled by the SIDS community and his papers show he was actively reviled by the hierarchy at the National Cancer Institute. Though both Dr Reisinger and the horse you see called Rock, are dead, to me Dr Reisinger belongs with the Semmelweis’s of the world; the Oliver Wendel Holmes; the great medical people about whom most people know nothing, because so often truth and honesty in science aren’t acknowledged, rewarded or recognised. The only nation to whom Dr Reisinger meant anything, were Koreans who saw him as a saint, though perhaps now, his contribution to their country is a fading memory. Perhaps as time goes on, we will add more on this page relating to e.coli and health, such as short summaries of key point relating to key medical articles, or comments Dr Reisinger made, or wrote. The aim of the Trust, and this website is to carry on the work he started of informing parents directly about many issues beyond conformity. Without the tremendous body of knowledge he imparted, and the funding he left to us at his death to carry on this work, this website would not have been possible. “Beyond Conformity” website is his legacy to us all, and we hope that what is offered here can help parents and babies, who were always at the centre of Dr Reisinger’s heart. One of Robert's favourite articles about the amazing properties of breastmilk. Caps, R.B., et all 1955, “Infectious Hepatitis in Infants and Small Children.” Amer J. Dis Child 89:701-716. NZPA 1989, “Cot deaths linked to bacteria.” New Zealand Herald, November 7, 1989, Section 1, page 3.